Convert your PDF file into impressive page turn magazine (Brochure). Help you create an interactive flash e-catalog for both online & offline use. Creating Flash & HTML5 digital editions with page flip effect from PDF. View the page flip publications on your iPad, iPod Touch, iPhone, Android and more. 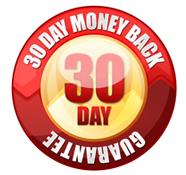 Convert your impressive digital flash flip book from Adobe PDF in seconds. Create index (Table of Contents) automatically from your PDF's bookmark. 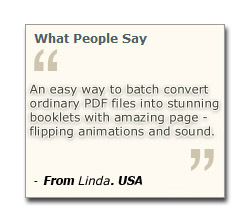 Batch convert PDF files to flippingbook with amazing page-flipping animations and sound. Apply scenes to make more dynamic and realistic flip book. Easily make hardcover flip book, right to left flip book. 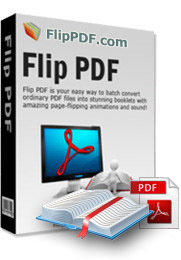 Flip PDF is an easy flipbook software and digital publishing software that allows you to create realistic 3D page-flipping e-Publications including e-Books, e-Magazines, e-Brochures, e-Catalogs, e-Reports, e-Newsletters. Flip PDF can convert static, print-ready PDF to live, searchable flash page flip digital editions in minutes, and all PDF's links and table of contents will be imported into your publication automatically. With Flip PDF, you can Add/edit/delete links, audios and table of contents before publishing. Flip PDF is a lifetime license software solution for the design and implementation of online digital flash page flip publications. Flip PDF can convert your PDF publications (PDF catalog, PDF magazine) into dynamic digital editions with the look and feel of your original document. You will be able to utilize our cutting edge technology to easily create, upload, and host digital publications by yourself in minutes. Flip PDF offers fully customised desktop page turn direct from PDF files and fully customisable mobile apps for publications using our suite of apps for both Apple iOS and Android devices. At a Glance: Easy! 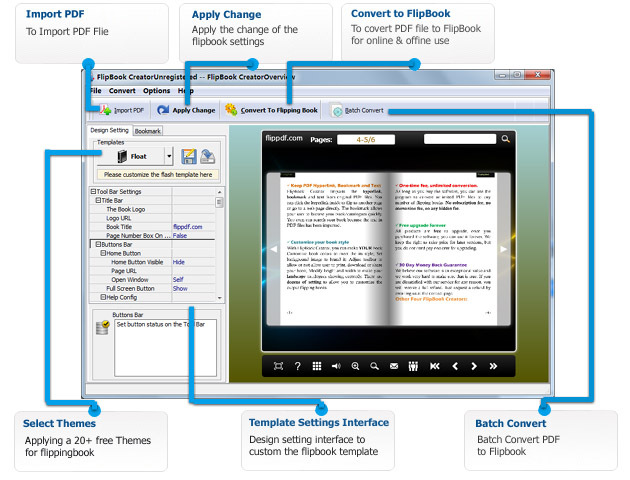 Even a new user, you can use the easy flip book maker of Flip PDF within a couple of minutes without any special learning. With our easy to use interface, you can make a modern, user-friendly and attractive publications from traditional PDF documents in a few mouse clicks! Even a new user, you can use Flip PDF within a couple of minutes without any special learning. User-friendly interface, no technical knowledge, or education required! Beside Flash version, all publications created by Flip PDF will also include HTML Flipbook animation. The readers will be able to open your flash page flip publication in any environment (Mac, Netbooks, Tablets, PC, Mac OS, iPhone, iPad, Android, or Windows Mobile), and you can even publish at your Facebook page. Digital flash page publications can now be created in HTML5 as well as flash. This enables users on iPhone, iPad, Android, Window Phone and other and mobile devices to get the very best digital experience, when and where they want to access it, with all the features of the web version. Flip PDF supports analyzing and importing table of contents from PDF' bookmark. After that, you can edit the imported table of contents. If you want to create it by yourself, instead of importing from PDF, or your PDF does not contain a table of contents, Flip PDF can help you to create table of contents for your digital publication. With Flip PDF, you can designate adjacent pages as the "Table of Contents". Here you can define a text link to each main category of your publication. The table of contents support unlimited links. Readers can use the search facility to explore the ebook finding relevant key words or phrases, they can also delve further into any page - by clicking on the page the reader is displayed a larger view of the publication making reading easy. Be able to set a password to access your publications and protect your Flipbook.